We recently learned of a story out of Florida that highlights the potential dangers involved with DIY estate planning documents. As with any legal process, you need the advice and guidance of an experienced estate planning lawyer anytime you want to create, or modify, any piece of an estate plan. While do-it-yourself products and educational guides might be sufficient to help you create a legally valid tool, that doesn’t mean the tool you create will meet your desires, or be an effective estate planning device. In 2004, Florida resident Ann Aldrich decided that she wanted to make a last will and testament. She used a DIY product and created a form on her own. Like every other state, Florida doesn’t legally require you to speak to an attorney when you want to make an estate plan, and Aldrich apparently never had her will reviewed by an attorney. In her will, Aldrich specified that she wanted her property to pass to her sister. Should her sister fail to survive her, Aldrich’s will said that her entire estate should pass to her brother. Even though she had two nieces, Aldrich’s will did not mention them at all. Aldrich died in 2009. Her sister died before her, so it appeared as if her brother was entitled to receive Aldrich’s entire estate. However, Aldrich’s nieces challenged her will, and the case eventually wound up before the Florida Supreme Court. The court ruled, contrary to the terms included in the Aldrich will, that her two nieces were entitled to receive a portion of the estate. In its decision, the court cited two main errors that led to Aldrich’s nieces receiving a portion of her estate. First, Aldrich chose to include specific gifts in her will. Specific gifts identify property and name the person who will inherit. While there is nothing wrong with these types of gifts, using them exclusively requires you to address by name all the property you own. Second, the will failed to include a residuary clause. 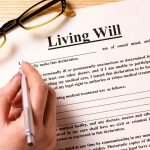 The residuary of an estate is all the property left over after the specific gifts made in the will have been met. It’s kind of a safety net that covers everything you forget to cover. Aldrich had acquired more property between the time she wrote her will and the time she died. Unfortunately, she never updated her will to address this property, and because the will didn’t have a residuary clause, it was left unaddressed. Because of this, the Florida Supreme Court determined that Aldrich’s nieces should inherit that after-acquired property in accordance with Florida intestacy laws.